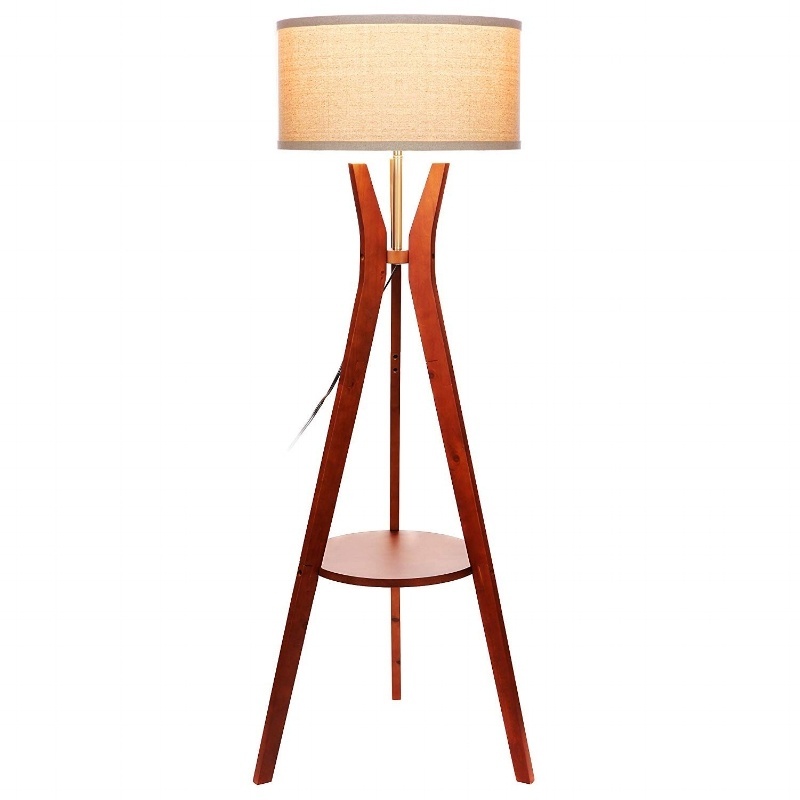 Many of our clients gravitate toward mid-century modern style. And it's no surprise. This minimalist aesthetic is all about function over form. It's stripped-down without being sterile. It has Scandinavian influences, but it doesn't feel tied to a particular place. And, after nearly seven decades, it feels as fresh as ever. In short, mid-century modern design has staying power. If you are on a budget and want to invest in furniture that isn't going to go out of style in a year or two, you can't go wrong with this look. And if you'd rather binge-watch old Mad Men episodes at home than step into a furniture store, then why not order your MCM accouterments from Amazon? Check out a few of our favorite pieces. They could be on your doorstep in a couple of days! This mod-looking lamp packs a high-tech surprise. Instead of using bulbs that need to be changed, the three sphere-shaped luminaries have built-in LED bulbs that emit a warm 3,000k glow. There are three levels of brightness. 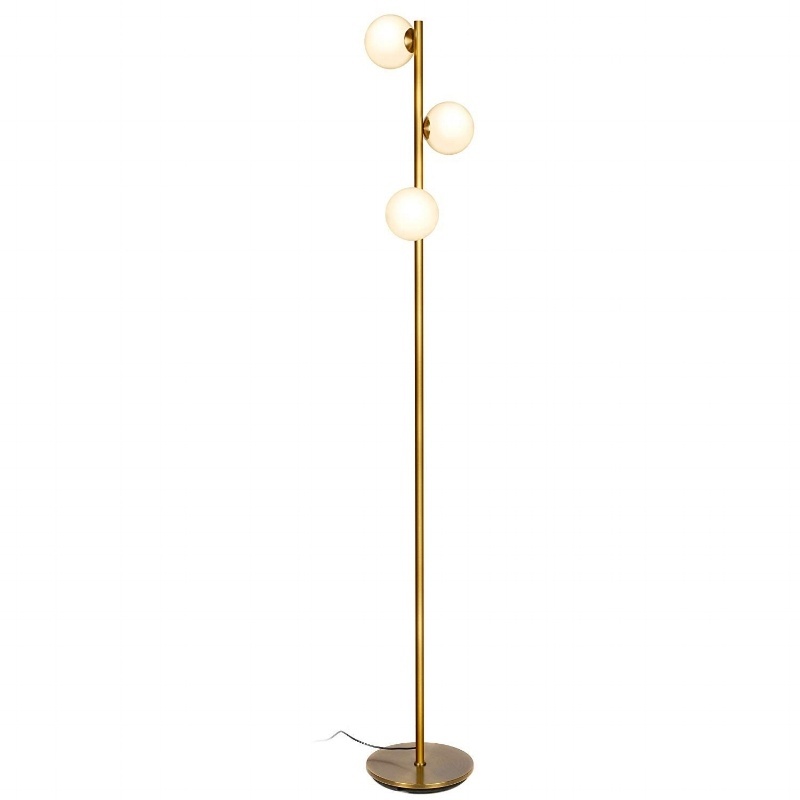 This fixture is also available with two globes. 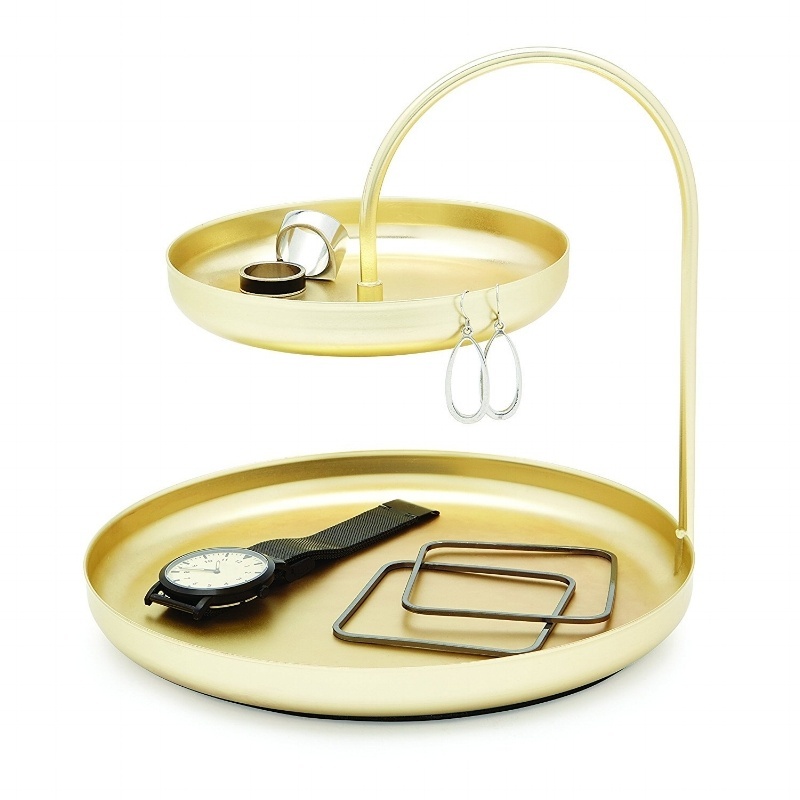 If you like to have a catch-all for your watch, jewelry, and other bits at the end of the day, this matte brass double-decker tray does the trick. 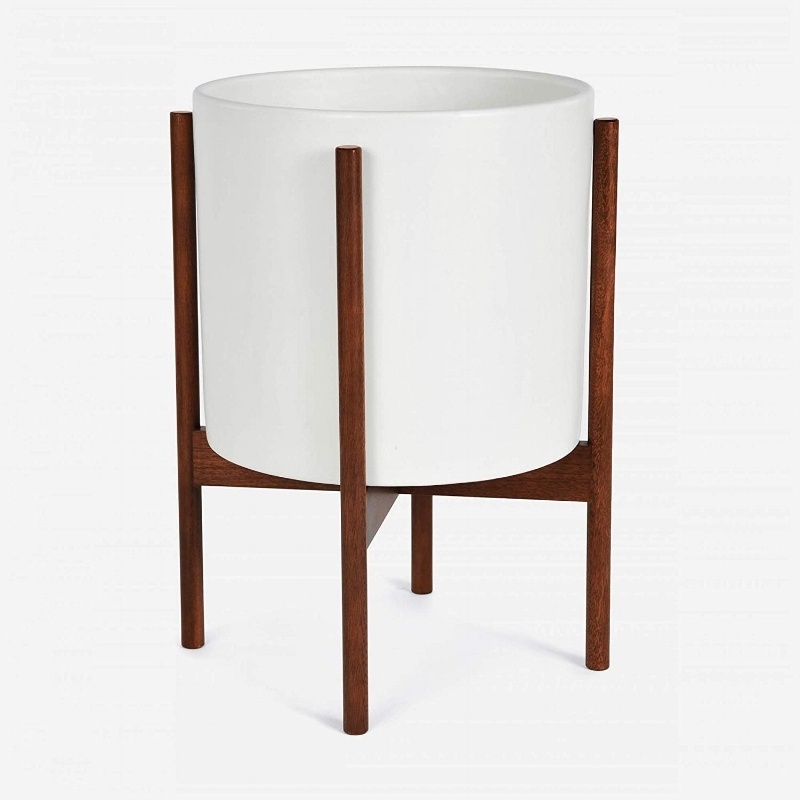 This classic pot and stand elevates a humble houseplant in both a literal and a figurative sense. 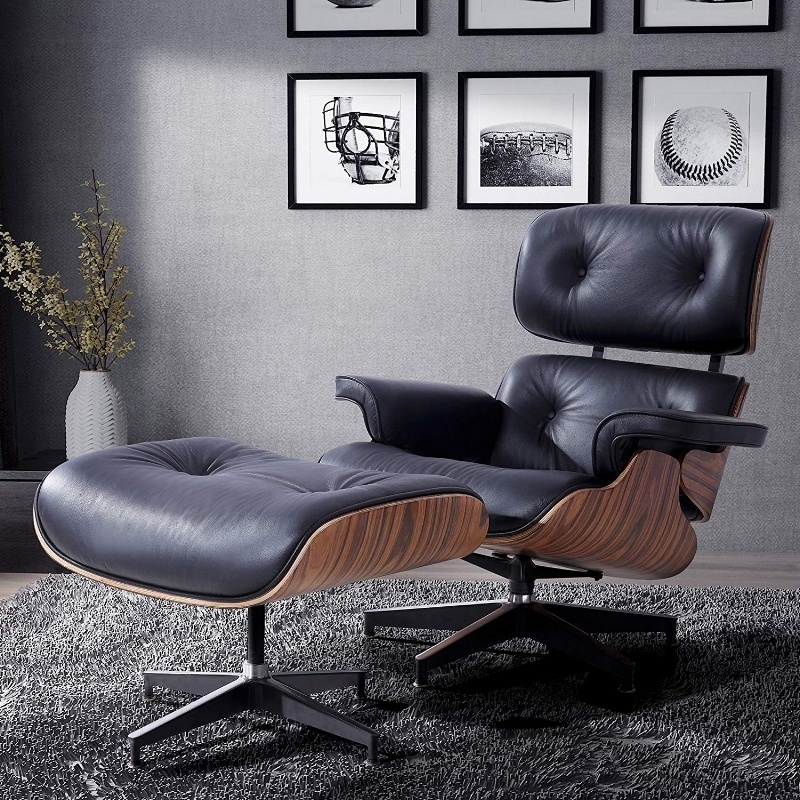 This chair isn't a pricy rosewood Eames original, but it boasts real leather cushions. And if you have to ask if it's an original, does it really matter? 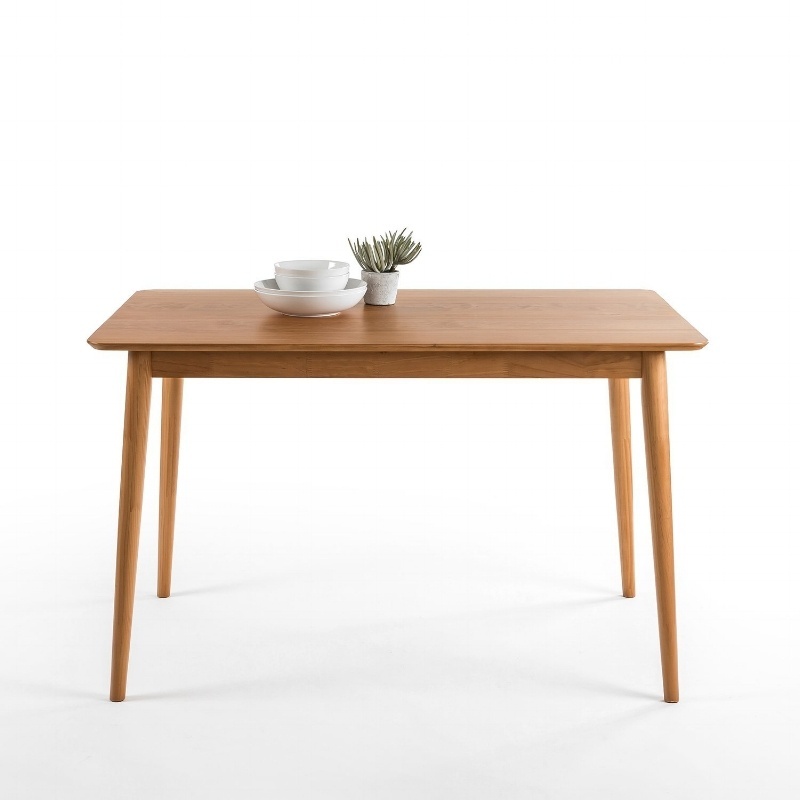 With its solid wood construction, this basic dining table complements your MCM interior design. It is, however, only 47" long, so don't plan on hosting any big dinner parties. Another offering from Brightech that could pass as a genuine mid-century modern antique store find. This one also has a built-in LED bulb that never needs changing. This table's solid walnut base and tempered glass surface mean it can potentially last a lifetime. 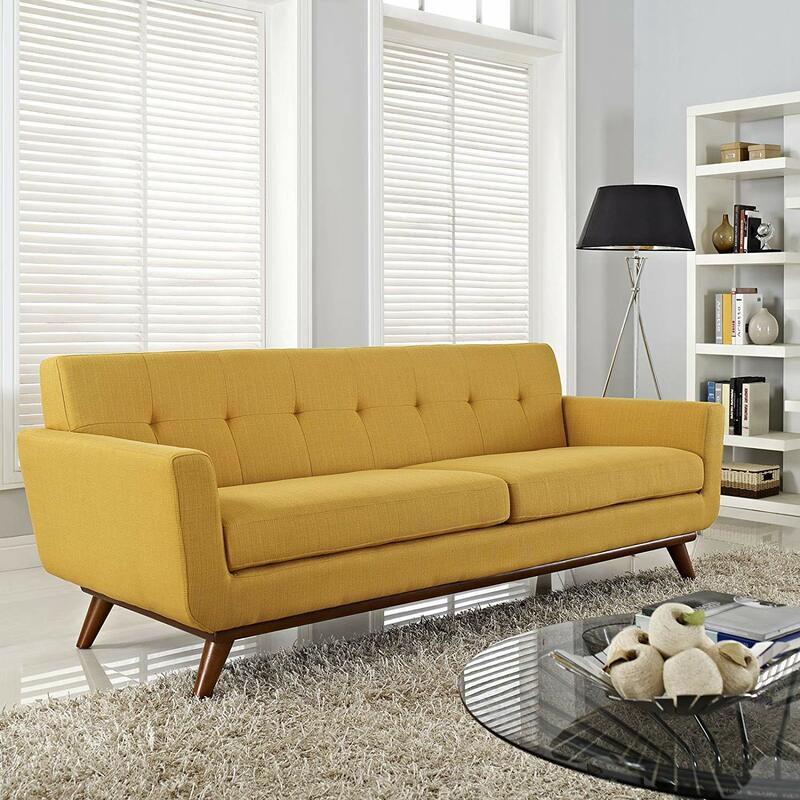 Sofas in a box are taking off right now, and the sleek, low-slung lines of mid-century designs pack well. To assemble, all you have to do is screw in the four legs, which are zipped into a compartment in the bottom of the sofa. One thing to note is that the cushions are on the firmer side, which can be a good thing if you like the support but may not be ideal if you like some feathers or fluff between you and the foam. It's not easy to find a functional piece like this that has some personality and ships free in under a week. And at about $200, the Greta is a steal. The arms and legs are made of rubberwood, which is considered environmentally friendly because it comes from old plantation rubber trees that have already served a useful function. 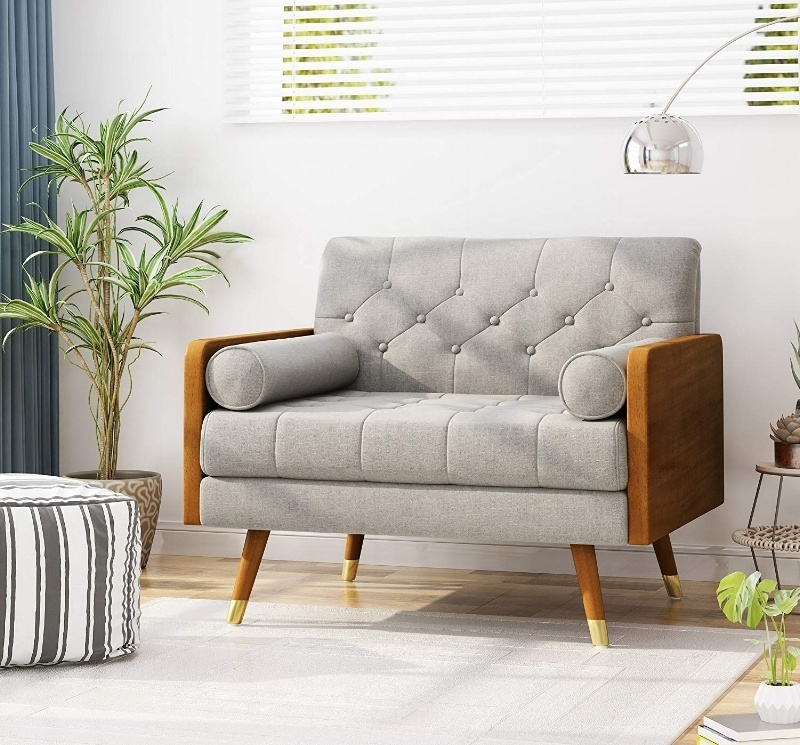 Rivet is one of Amazon's newish furniture brands that are meant to compete with the likes of Pottery Barn and West Elm. 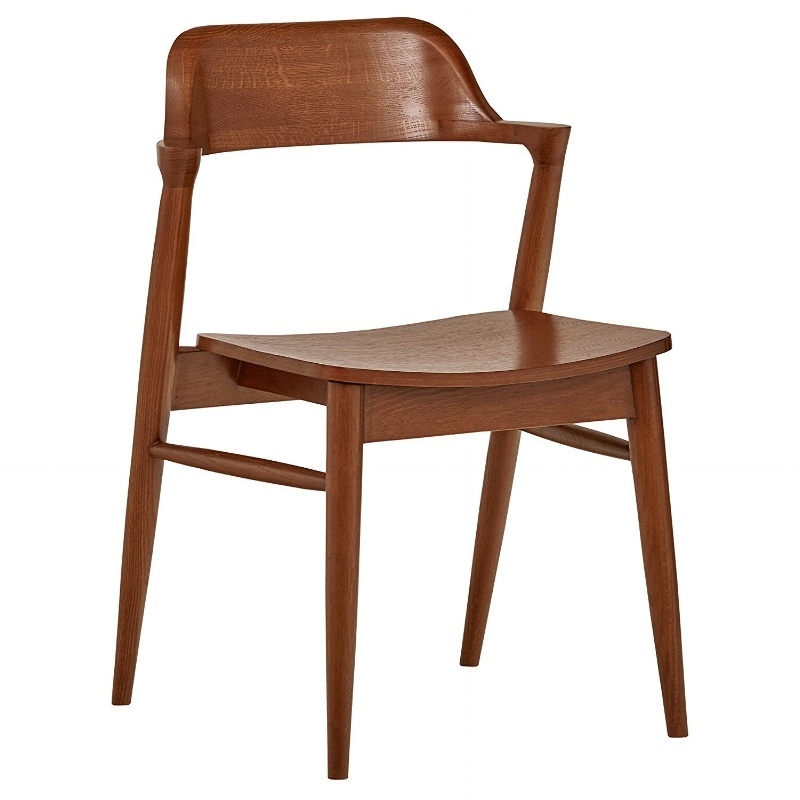 This low-back dining chair has great retro style and is made of solid oak with a walnut finish. (Buyers report that the finish is actually darker than the chestnut color in the photo.) Best of all, it comes well-packed, it requires no assembly, and it receives free two-day Prime shipping to Seattle. I hope this list of our favorite MCM finds on Amazon makes it easy to up your style game. If your rooms need more than a few new accessories to look and function their best, you may need professional help. Our in-house interior designers can help you transform your home to suit the way you want to live. Feel free to contact us to start the conversation.